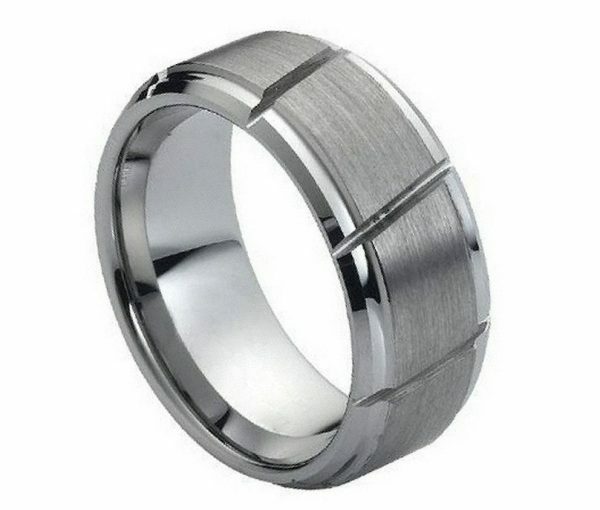 This bold tungsten carbide comfort fit design features diagonal diamond cut grooves along the center of the ring for added depth and character. 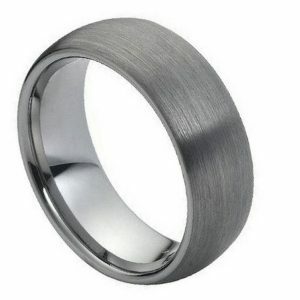 This brushed tungsten ring is in the classic tungsten color and is an excellent choice for those who prefer a matte finish over a polished shiny finish. 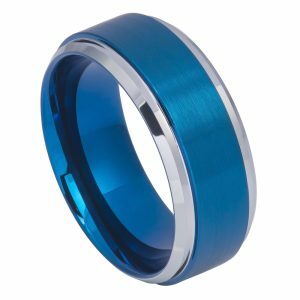 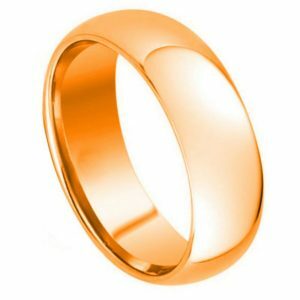 A tungsten carbide ring with grooves and beveled edges produce a wedding band that is stylish and bold without appearing flashy. 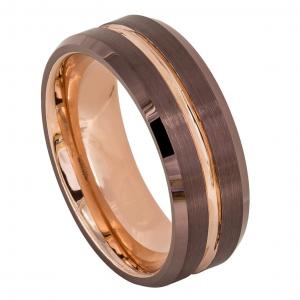 While the center of this ring is brushed for a matte finish, the beveled edges are polished shiny for a sleek finish.